Agriculture will once again take centre stage with the return of the Royal Welsh Show from Monday 23rd July – Thursday 26th July. The Llanelwedd event is an ideal opportunity for NFU Cymru to meet with politicians, key stakeholders, retailers, partner organisations and other lobbying groups to discuss the future of the farming industry in Wales. But while there is plenty going on behind the scenes, there is also a whole host of public facing activities being laid on by NFU Cymru and its partners at NFU Mutual. Below are some of the events we are encouraging members to join in and support as part of their visit to the Royal Welsh Show this year. 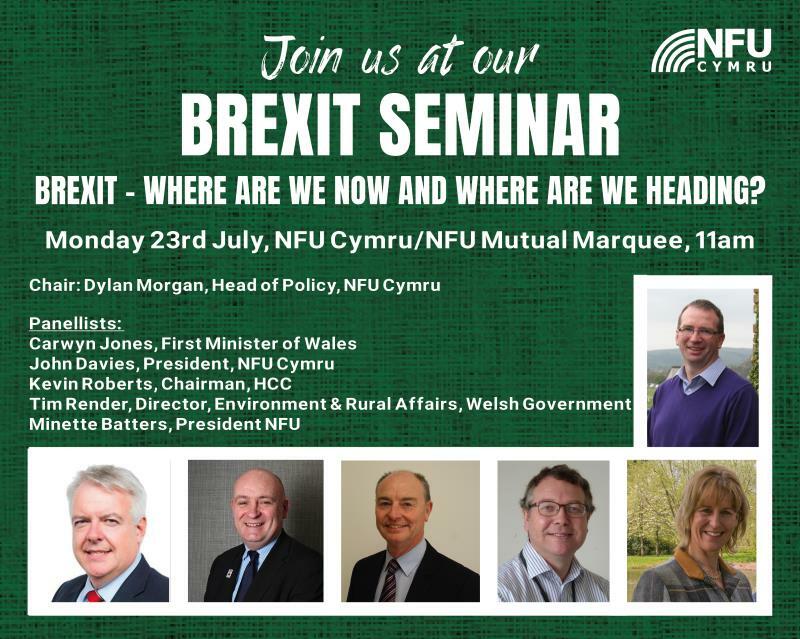 A detailed run-down of NFU Cymru's popular series of seminars, which this year will be held in the NFU Cymru/NFU Mutual marquee at the rear of the building, is listed below. 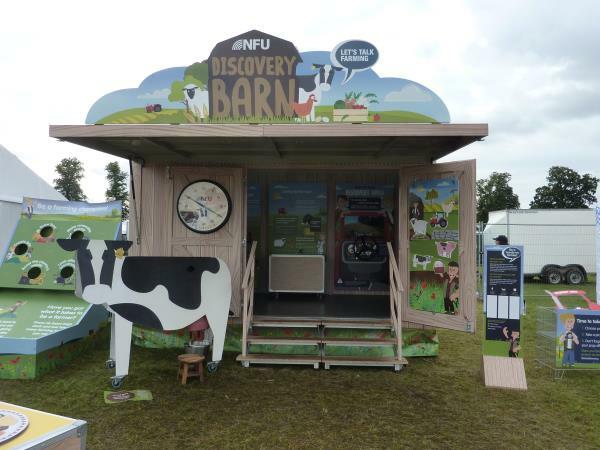 Following its inaugural visit to the Royal Welsh Show in 2017, the Discovery Barn is back again this year, packed with fun and educational games and activities in both English and Welsh. When: Round 1 - Monday 23rd July 6pm. Round 2 - Tuesday 24th July 5.45pm. Final - Wednesday 25th July 2.30pm. When: Wednesday 25th July, 12.15pm, Final. Presentation to follow at 2.15pm. 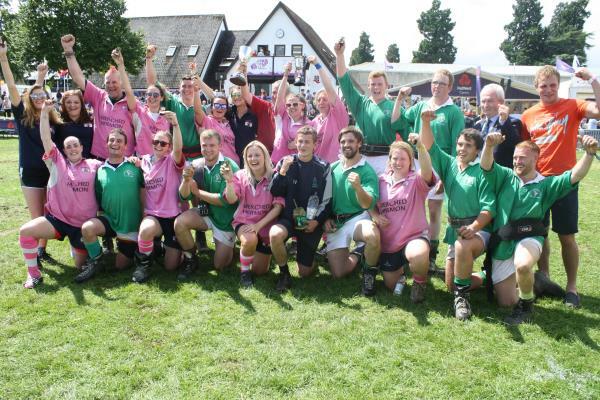 Receptions following each round of competitions will be held at the NFU Cymru/NFU Mutual Marquee everyday immediately after the games. 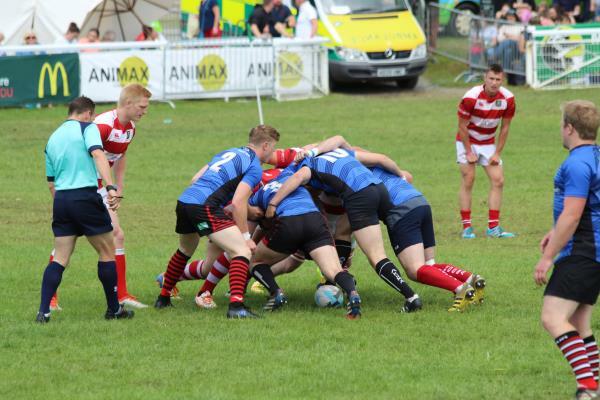 NFU Cymru is once again delighted to be able to support Wales YFC’s popular Rugby 7s and Tug of War contests. Join us at the Main Cattle Ring to see who takes the spoils. An annual prize-giving presentation to scholars wishing to travel to broaden their knowledge of agriculture. 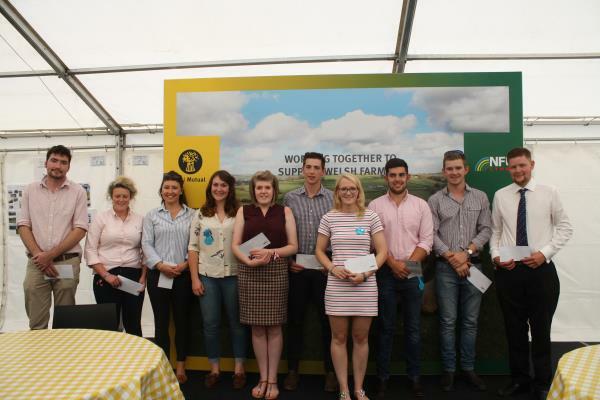 Last year 10 lucky young farmers shared £2,300 to assist with their travel and learning, funded by the NFU Mutual Charitable Trust in memory of the late Gareth Raw Rees. 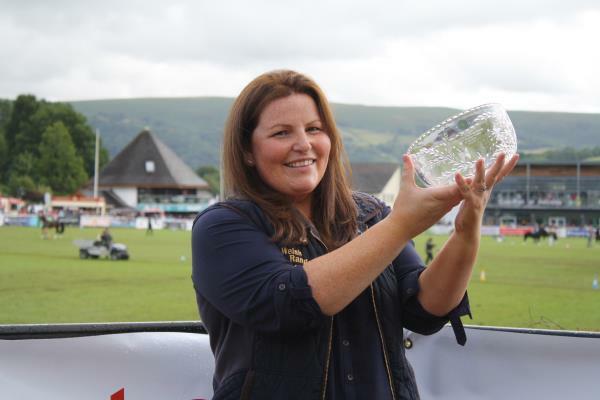 The winner of the annual NFU Cymru/NFU Mutual Wales Woman Farmer of the Year award, now in its 22nd year, will be announced at the NFU Cymru/NFU Mutual marquee. The award seeks to champion the contribution that women make to the agricultural industry and to raise the profile of women in farming. Last year’s award winner was Victoria Shervington-Jones of Country Fresh Eggs in St Bride’s, Newport, who has since become NFU Cymru Poultry Board Chair. We are now over two years on from the referendum of June 2016, and 16 months have already elapsed since the triggering of Article 50. With almost half a century of participation within the CAP about to end and uncertainty surrounding our future access to the EU single market, Brexit represents one of the biggest challenges and structural adjustments our sector has ever faced. For Government, negotiating with the EU 27, getting the country Brexit ready, and through to the other side probably represents one of the most significant and complex tasks in peacetime history. Negotiations have been fraught at times, and haven’t progressed with the speed some had predicted. Two years after the referendum and we have reached a critical juncture as talks in Brussels are set to move on to the UK’s future relationship with the EU27. Cabinet divisions on what direction this should take, means that a clear vision of what form the UK’s future relationship with the EU should take, has yet to emerge. Despite the uncertainties, Brexit does offer us opportunities, including the opportunity to develop our own agricultural policy from scratch and the opportunity of opening up new markets for our products. 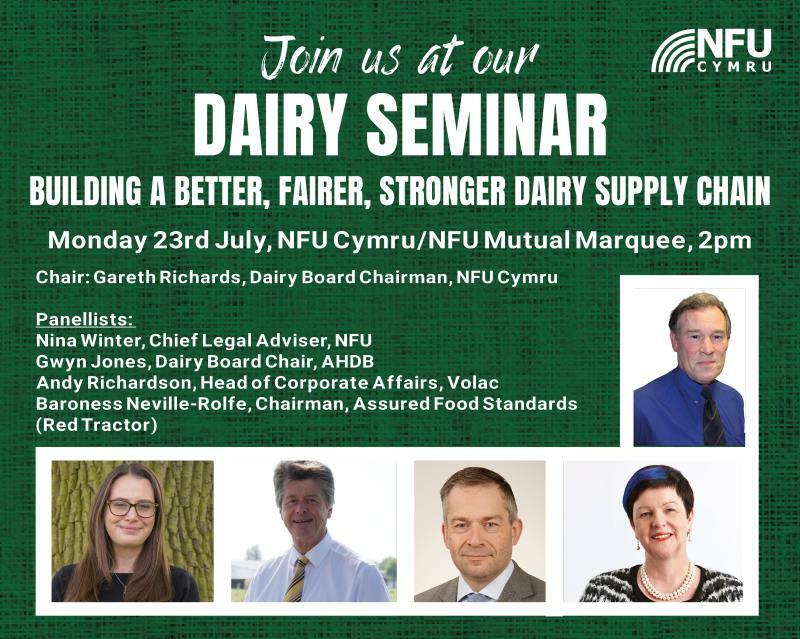 During this Dairy seminar the key topics of discussion will be how to build better, fairer supply chain relationships by ensuring contracts are fit for purpose, advocating producer representation and promoting processor engagement. There will also be an emphasis on building a better business environment - ensuring farm competitiveness to address market volatility. The role of Farm Assurance in milk and dairy products will also be discussed by the panel. 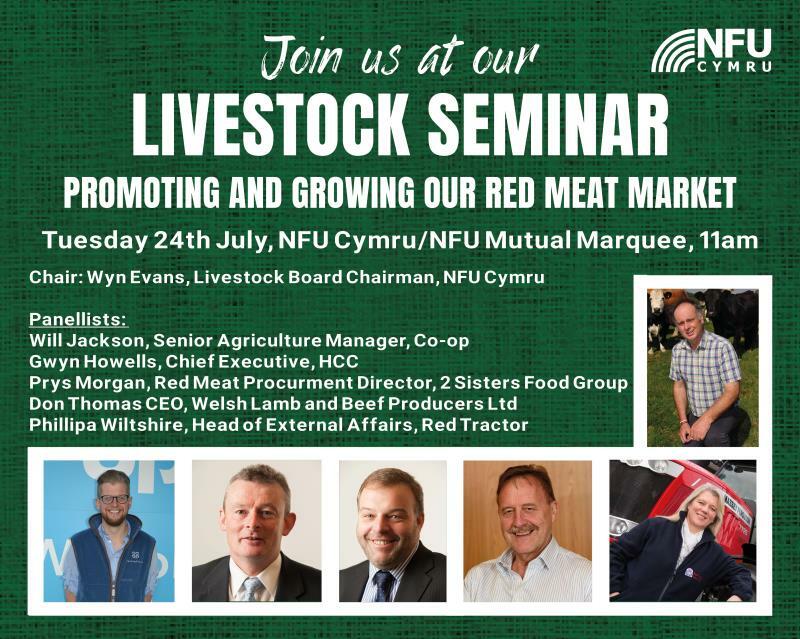 The focus of the Livestock Seminar will be on promoting and growing our red meat markets in Wales. This will only be achieved through retailers, processors, promotion and assurance bodies working together to give the right signals and pointers to our livestock farmers to meet future demand for our world leading products that will engender total confidence to the consumers of red meat from Wales on both the home and overseas markets. • We must not turn our backs on food production. 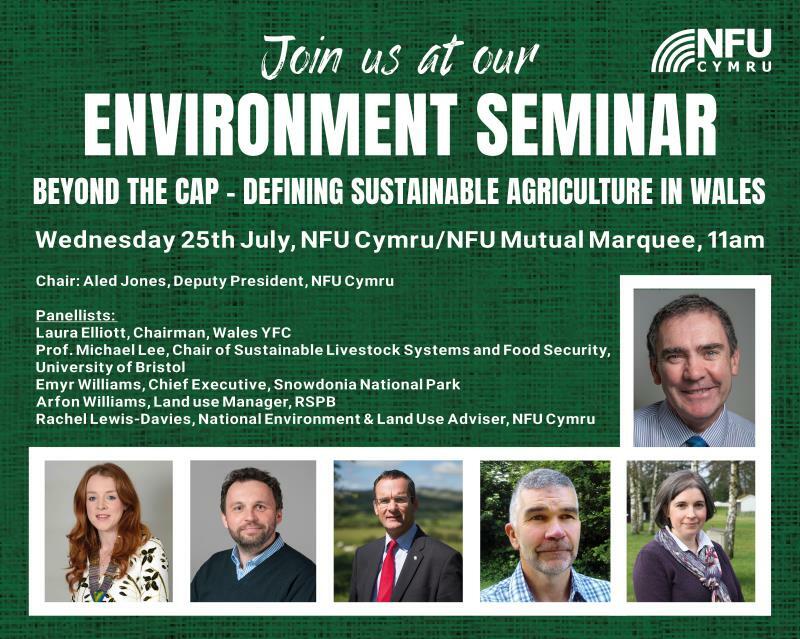 At this most pivotal time for Welsh farming policy in a generation this seminar seeks to define sustainable agriculture and explores how sustainability can be embedded into future agricultural policy for Wales. 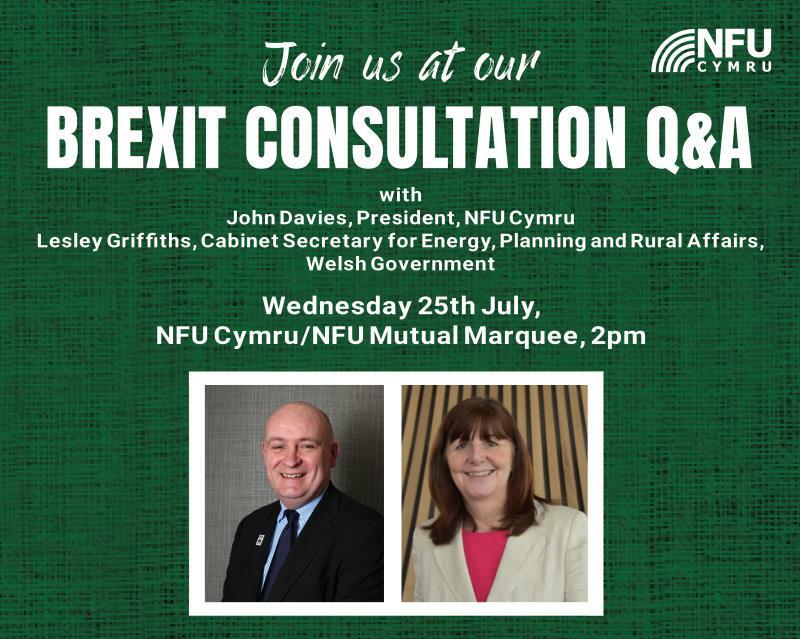 Join John Davies and the Cabinet Secretary, Lesley Griffiths for a Question and Answer session on the recently published 'Brexit and our Land' consultation. This is the most important consultation in a generation and we must ensure that we all respond to it with our thoughts on a Domestic Agricultural Policy post-Brexit. When: Tuesday 24th July. 4 - 5pm. The wine reception at this year’s Royal Welsh Show will celebrate 30 years of the LAS with advisers on hand able to outline it’s benefits as well as providing an opportunity to meet with our two Legal Panel Firms who provide professional assistance via the scheme in Wales – Allington Hughes in North Wales and JCP Solicitors in South Wales. Join us on our stand between 4 and 5pm to help celebrate a landmark 30th anniversary of our Legal Assistance Scheme (LAS). 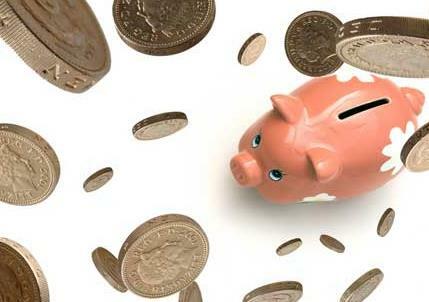 Read more about the LAS scheme here. There’s no need to book, just call by on the day and join us in the marquee for a glass of wine to help celebrate the anniversary of this extremely popular service.